Big news, new perks & more! We're joining forces to bring Triangle families more fun! Time to Share the Big News! We're bursting at the seams and have been anxiously awaiting to share some exciting news with you. Are you ready? Social Butterflies NC is merging with Raleigh Moms Blog! What does this mean for you? Not only will you receive updates on those family-friendly events and activities happening around town readers will also enjoy all the perks of being a part of the Raleigh Moms blog readership. 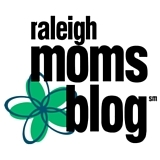 Raleigh Moms Blog, a sister site of the nationwide City Moms Blog network, has been passionately serving Triangle Moms over the last 2 years bringing the best Mom's Night Outs, providing entertaining content about the journeys of Motherhood, reviews on local family-friendly services, giveaways and more. We are excited to join forces with Raleigh Moms Blog and celebrate Moms and families in the Triangle. Over the last 10 years, Social Butterflies NC has grown from a grassroots effort to provide a trusted guide to Raleigh family fun to a readership of over 5,000 local families reading our e-newsletter and engaging with us over social media. We are thankful to our founder, Cary Heise, owner of Vend Raleigh, for loving our Triangle community enough to help families find the best experiences around town, to our dedicated readers who are always on the ready to venture out & explore with their kiddos and our sponsors and partners who offer the best services & products to our readers. We're celebrating this merger and want you to join in on the fun, perks, events and resources as we merge into Raleigh Moms Blog over the next couple of weeks. Our look and location will change a bit, but the family fun will still be fresh & new! Celebrate family and the Triangle community and visit us on the Raleigh Moms Blog website and stay connected on social media on the Raleigh Moms Blog Facebook, Twitter, Instagram, Pinterest. You have received this email because you have subscribed to Social Butterflies NC, registered to attend the KidDilly Expo or entered into a KidDilly Expo giveaway.